Your imagination cannot comprehend IMPROVAPALOOZA—a marathon five-day event where every show is a one-of-a-kind experiment. Get your All-Palooza Pass for $45! 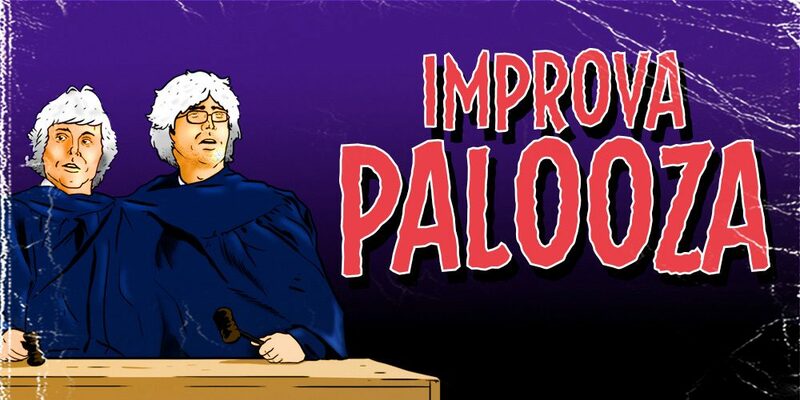 You can also upgrade to become a Palooza sponsor! Support WIT’s nonprofit mission and you’ll not only get your name on the wall of Source, we’ll also express our thanks on social media with a custom-picked GIF from WIT staff (posted to the Palooza Facebook event). It’ll be super weird, we promise! Already purchased your pass? You can add on a sponsorship here. Improvapalooza features one-of-a-kind experimental performances plus annual favorites. All-Palooza Passes are $45 and get you access to the entire festival! Passes are non-transferable. Accessibility information: The black box theater at Source is ground-floor and wheelchair accessible. WIT can set aside wheelchair space if needed, with no need for the patron to reserve a specific seat. In addition, assisted listening devices are available upon request. Patrons using wheelchairs or in need of an assisted listening device should please reach out to wit@witdc.org to work out logistics, including companion seating. Nightly passes are $15 ($20 at the door) and are only valid for one day. Saturday is divided into two halves—noon-6 PM and 6 PM until midnight. Improvapalooza features festival-style seating—you can enter and exit the theater between acts. Programming is non-stop after curtain time. In the case of a capacity audience, an usher will help you find a seat when one becomes available. Other questions? Check out our general FAQ.